Like a fine wine, the Salzburg livery design gets better with age. 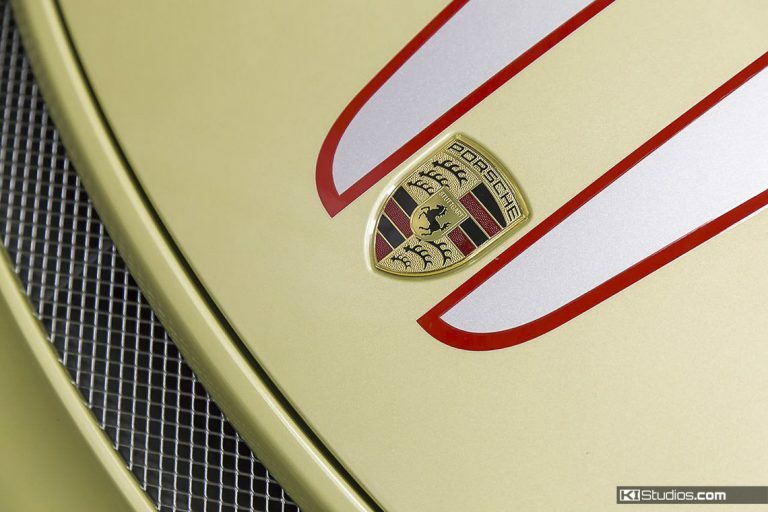 This classic look began in the 70’s and is well known on Porsches to be red and white. Over the years there have been many renditions of the original Salzburg livery. This design is so iconic due to a turning point for Porsche as being their first race overall victory in a 917. We were happy to install this historic design. 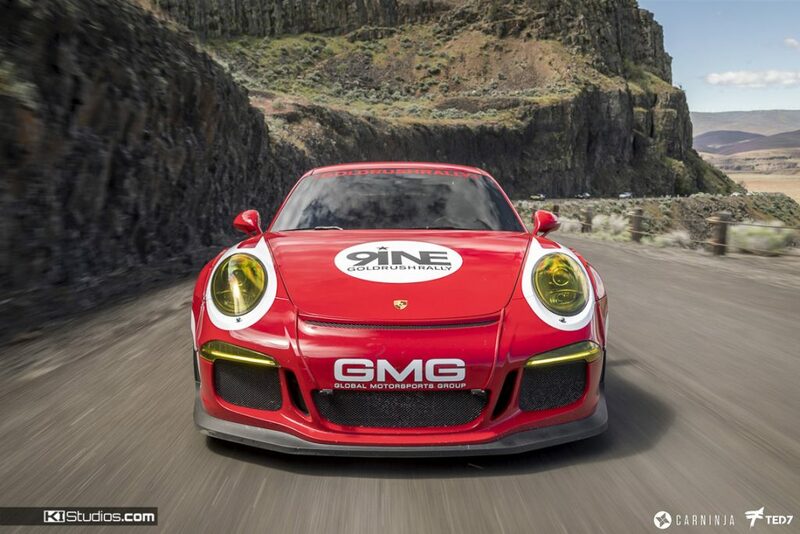 In our version, the white originates from the headlights and front wheel fender of this Porsche 991 GT3. The stripes streak back as if at high speeds. The design looks just as good even when standing still. The classy white contrasts perfectly with a luscious red to be seen from afar and stand out from the crowd, leading the way to victory. This rich wrap design was only enriched and enhanced further with the addition of gold wheels, yellow headlight film and a red windshield banner to be race track ready. 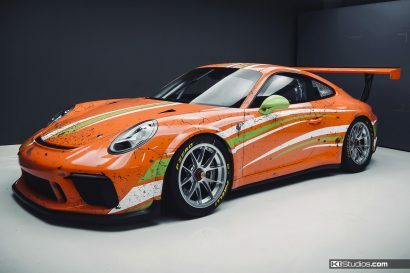 Now, Salzburg is known for race cars, while this wrap design wasn’t intended for the track, it still ended up going very fast. 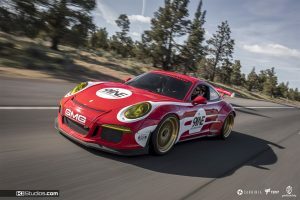 This Salzburg livery Porsche was a part of an annual event called goldRush Rally, where many super cars rally on amazing roads all over the United States. 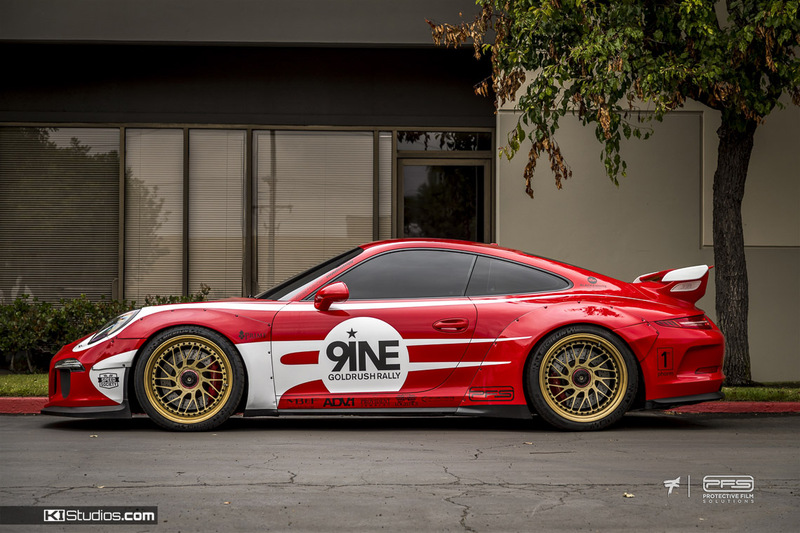 goldRush Rally did this gold-wheeled Porsche 991 GT3 justice, as it did in referencing a historic tale. 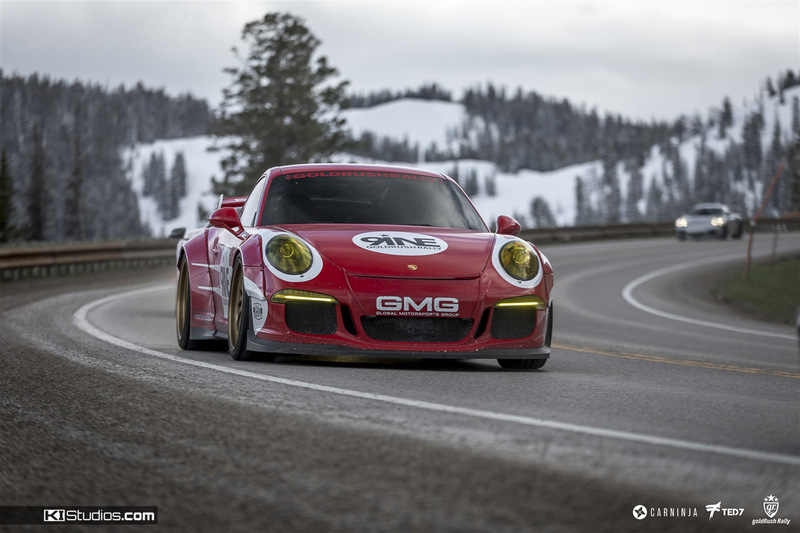 Timeless is a Porsche and even more so is a Salzburg racing livery. Simply, there is no substitute. 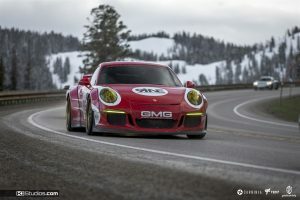 While many race cars want something unique and new, not everyone wants original. It’s human nature to imitate things we like. It’s now easy enough to find a design and want to replicate it as is or put your own personal spin on it. Furthermore, individualization can include changing color schemes, adding extra logos, and more. 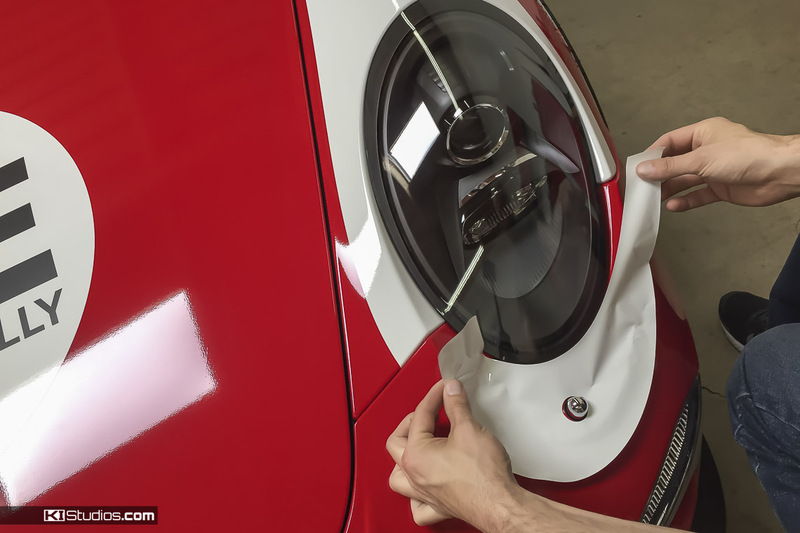 This is all apart of the process when designing a wrap. Many people don’t know where to start, so looking at pictures is an easy go to. This begins the process that we are happy to guide you through with multiple revisions of renderings until you’re happy with the completed design before entering production.